We have national animal, bird, and flower (tiger, peacock, lotus respectively), similarly each Indian state has its state animal, bird and flower. Since different states in India have different regions, climate, cultivation, therefore the wildlife and the vegetation associated with these also differ. Some animals and plants are found in one state while some in other. 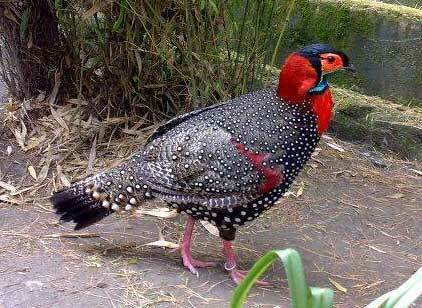 Western Tragopan(हिंदी: जजुराना) replaced the bird Monal for the state bird of Himachal. Its scientific name is Tragopan melanocephalus. Since, Monal is also the state bird of Uttrakhand and National bird of Nepal, there was a need to chose some new species of bird as state bird for Himachal. Western Tragopan was chosen keeping in view its beauty and decreasing number in Himachal. Snow leopard is now the state animal of Himachal. It replaced the musk deer. One of the most endangered animals in the Himachal region is the snow leopard. It is found at very high altitudes that experience heavy snowfall. 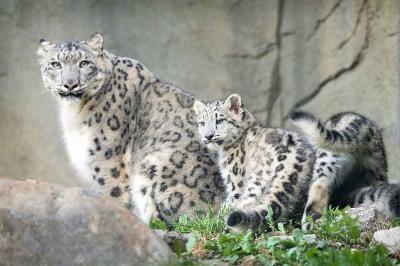 Snow leopards show several adaptations for living in a cold mountainous environment. Their bodies are stocky, their fur is thick, and their ears are small and rounded, all of which help to minimize heat loss. Snow leopards’ tails are long and flexible, helping them to maintain their balance, which is very important in the rocky terrain they inhabit. 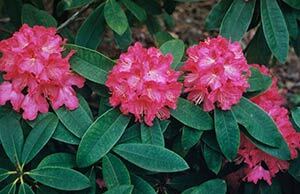 Pink Rhododendron is now the state flower of Himachal. It replaced Rhododendrum arboretum. It is a very beautiful flower with pink coloured petals. Its scientific name is Rhododendron campanulatum. In Hindi it is called Burans (बुरांस). It is found in the most of the forests of Himachal Pradesh and it’s flower is known for medical and Ayurvedic use. Natives of Himachal Pradesh use Burans for making a sauce especially in summers to prevent heat strokes.